As more applications and data reside beyond the enterprise across cloud providers, security and compliance is becoming harder than ever. Gain visibility and control, and ensure consistent policy and governance across multiple cloud services. Secure your sensitive data and applications in the cloud and protect against threats. Cloud Access Security Broker solutions allow you to leverage cloud solutions - securely - with confidence. With increased cloud migration and availability of cloud services CASB has become an important part of any cloud security strategy. According to Garnter, 60% of large enterprises will use a CASB to govern some cloud services by 2022, up from less than 20% in 2018. 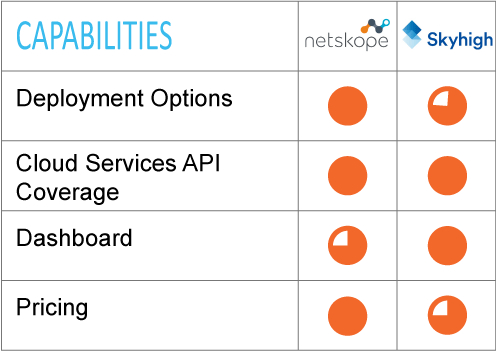 NetSkope and SkyHigh Networks are leaders in CASB vendor assessments by Gartner and IDC. NetSkope - detect, monitor and secure your SaaS solutions. NetSkope provides context based awareness of enterprise cloud usage whether accessed from within the companies network, or remotely from any device. NetSkope allows IT to understand risky activities, protect sensitive data, stop online threats, and respond to incidents across the cloud. It protects both sanctioned and unsanctioned cloud app usage. McAfee SkyHigh provides visibility, advanced threat prevention, and data protection controls across all clouds to secure network traffic, workloads, and data. Gain visibility into content, context, and user activity across SaaS, PaaS, and IaaS environments. 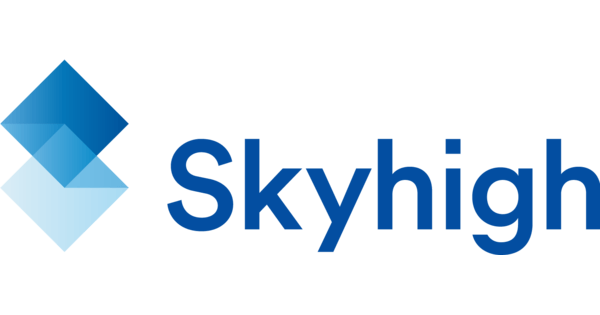 SkyHigh identifies and stops threats and protects data that persists in and outside of the cloud. SkyHigh offers a single toolset to enforce security policies across the cloud.